All Honeyville homes currently listed for sale in Honeyville as of 04/22/2019 are shown below. You can change the search criteria at any time by pressing the 'Change Search' button below. If you have any questions or you would like more information about any Honeyville homes for sale or other Honeyville real estate, please contact us and one of our knowledgeable Honeyville REALTORS® would be pleased to assist you. "Come take look at this spectacular Horse Property! Located down a quite, secluded Lane! Incredible views of the mountains! 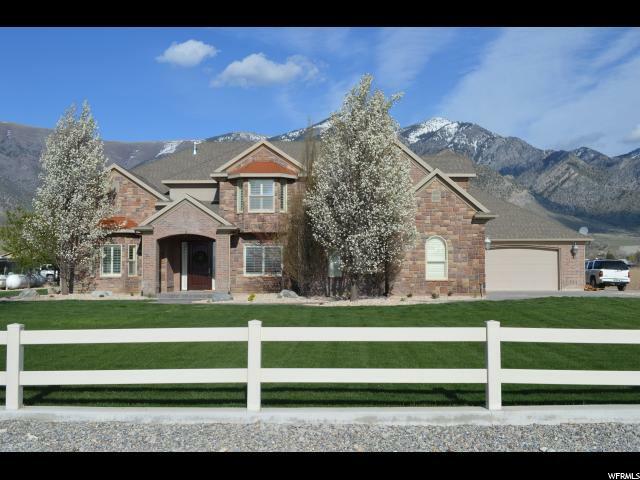 Gorgeous 4300 Square foot home that has all the extras you can imagine! 4 car garage (at least) all finished in beautiful pine. Large open Kitchen with the finest finishes, Double Ovens, Gas Cook-top, All Stainless steel appliances. Granite Counter tops. Master Suite is a must see, Large bedroom with high ceilings, fireplace, large relaxing ares. Master Bath has a beautiful walk in shower along with relaxing Jetted Tub, His and Hers walk in closets and beautiful cabinetry. Large main floor Laundry, the rest of the home has too many features to mention! Nice Barn with Stalls and Tack room, Large Riding/Roping/Rodeo Arena. Has roping chutes, return run, Bucking chutes and has lights so you can use it at night! Round Corral, as-well as several other corrals. Approx 4.5 Acres of pasture. Approx 9.5 acres of irrigated farm ground that is currently planted in Alfalfa. 15 shares of Bear River Canal Company Water are included. Beautifully landscaped yard! Check out the Virtual Tour for incredible drone video to show the entire layout of the property! " "Beautiful house in the country. Only 55 min to SLC. 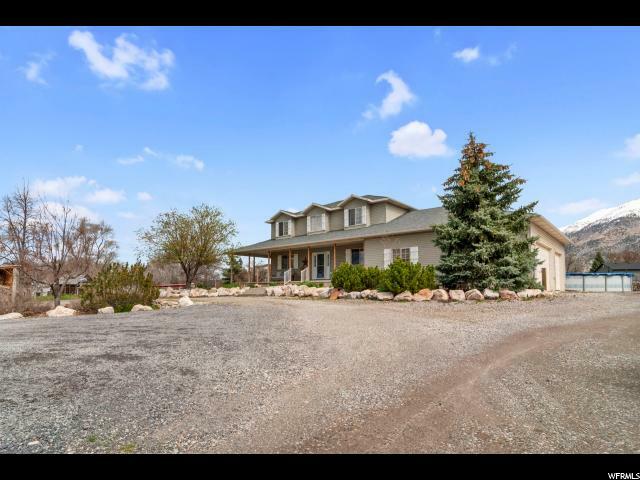 Beautiful mountain views, pastures, fruit trees, fire pit, large back patio, large master suite. Office, large flex room, and irrigation water shares. Kitchen with top appliances, granite counter tops, and real wood floors through out main level. Lots of storage. Lots of space inside and out. Three car garage. 30 x 40 pole barn/shop, 15 x 30 animal barn with tack room. Horse property. Sale includes Parcel 05-162-0066. Square footage figures are provided as a courtesy estimate only. Buyer is advised to obtain an independent measurement." "This under construction home in Honeyville located at the Savannah Heights subdivision features The Emerson 1797 rambler floor plan by Sierra Homes. Home sits on .5 acres with an incredible view!!"